A research funded by the Google Faculty Research Award and the Washington Research Foundation has yielded a new technology that enables low-cost gesture control without the need for a battery, with low power consumption, and at a low production cost. This could complement touch displays or becoming a good fully working alternative control system itself. It will be demonstrated at the Symposium on Networked Systems Design and Implementation conference in Seattle in April 2 to 4. 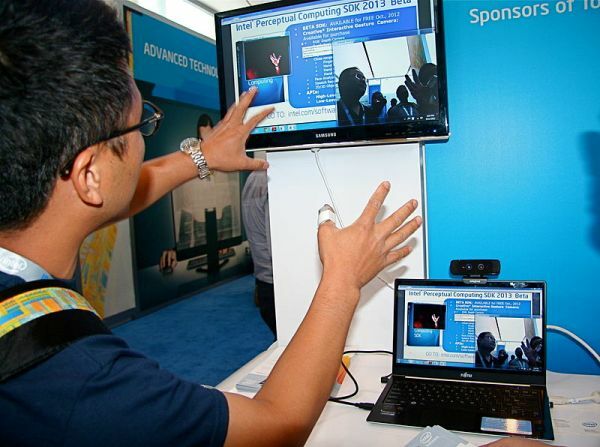 This battery-free gesture control tech can be applicable to an extensive range of devices. It is said to be capable of delivering gesture recognition to virtually any device including smartphones, televisions, laptop and desktop computers, tablets, media players, projectors, and even home and office lights. With it, you no longer need to push or tap a button to pause a video, increase or decrease volume, or do other simple tasks you would usually do all too often as you interact with devices. The prototype is being called “AllSee” developed by University of Washington students and faculty namely Bryce Kellogg (doctoral student), Vamsi Talla (doctoral student), and Shyam Gollakota. It has been detailed in a paper entitled “Bringing Gesture Recognition to All Devices.” This prototype integrates hardware derived from an off-the-shelf Samsung Galaxy Nexus smartphone. One of its most noteworthy features is the ability to allow gesture control to do simple things like adjusting volume even while the device is in the pocket. According the Shyam Gollakota, this system is the first that can be implemented at a cost of less than a dollar. Current systems of gesture control tend to cost more. The one being used on the popular recent flagship smartphones from Samsung, for instance, cost considerably higher. This system is reportedly cheaper than the touch controller, the GPS radio, or the image sensor found in an iPhone (based on a study conducted by Nomura Equity Research). 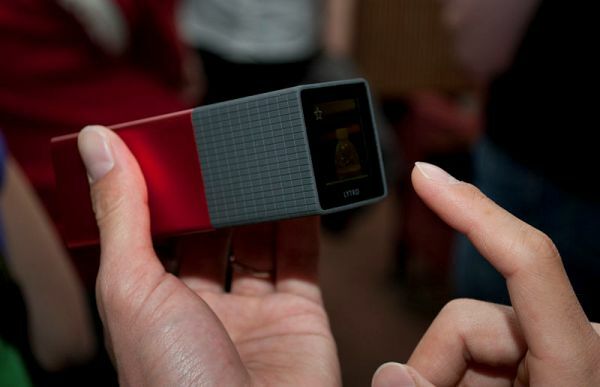 AllSee makes use of already existent wireless signals as the power source and means for detecting gestures. It harvests power from wireless transmissions, TV signals for example, to enable gesture control. As mentioned earlier, it does not need a battery. It is equipped with an ultra-low-power receiver to obtain and classify gesture information. Hand gestures in the air changes the amplitude of the wireless signals present. This change is being detected by the AllSee sensors and interpreted as commands. AllSee’s sensors consume up to four times lower power compared to already existing gesture recognition systems. This efficiency provides the advantage of being reasonably allowed to stay active all the time. The gesture control system of current devices like the Galaxy S4 can quickly drain the battery if left active continuously. AllSee is said to consume only tens of microwatts of power when allowed to remain active all of the time. Unlike the gesture control setup of devices like Galaxy S4, AllSee does not require face-to-face interaction. This means that even if your phone or device is inside your pocket or purse, you can still do gestures to control it. You can stop music from playing, lower the volume, or cancel a call without picking the device. The researchers behind AllSee, of course, have already thought of the possibility of mistaken gesture control interpretations. That’s why they have the “wake-up gesture” implemented. Before you can communicate with your device through the AllSee gesture control system, you need to wake the system up first—with a gesture of course. You don’t have to press the power button or tap the screen of your device to wake it up. In terms of response time, the researchers behind AllSee did tests and found out that response time is below 80 microseconds or around a thousand times faster than a blink of an eye. Also, the researchers performed tests to determine AllSee’s ability to correctly interpret commands. It was found that using eight different hand gestures, AllSee can recognize the right command with a 90% accuracy while performed from a distance of over two feet away from the device. 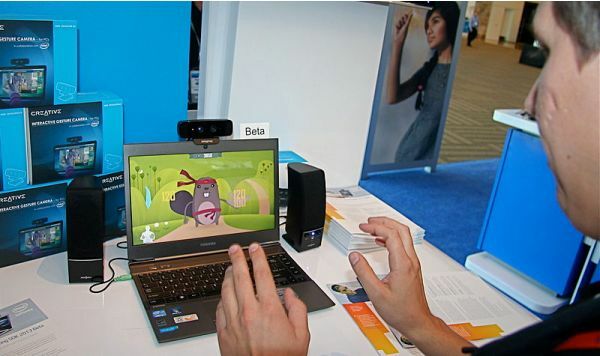 Aside from smartphones and tablet computers, the AllSee gesture control system can also be advantageous for other everyday devices like television, media players, various home appliances, fax or answering machines, and even the intercom used in homes and industrial settings. Cameras will also greatly benefit from this technology. Moreover, it can be an excellent addition to gaming consoles. It can provide a less expensive way of gesture controls on games considering that it will no longer require a camera or an implement like Microsoft’s Kinect. This new gesture control tech is definitely one smart feature that should be integrated with smartphones, tablets, and other everyday electronic devices. Finally, here’s a technology that delivers function, convenience, and efficiency at the same time. Add to that the “cool” factor that makes you look impressive as you control devices simply with your gestures. We really hope to see it an action soon. Also, the 90% gesture recognition accuracy needs further improvement. The year 2014 appears to become another exciting year for consumer electronics and technology in general.